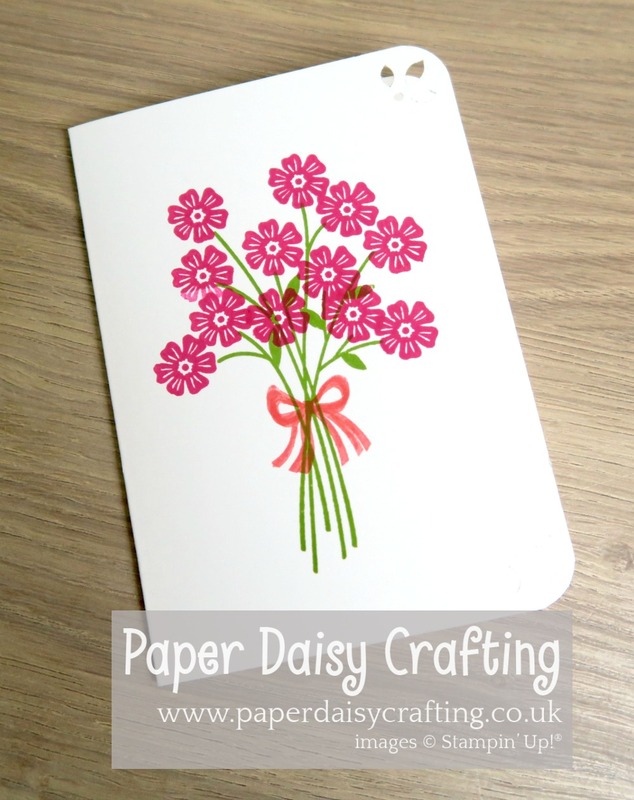 I'm back today with another instalment in my occasional series entitled "Card Making for Beginners", where I feature a card which would make an ideal quick and easy project for anyone who is only just beginning in their papercrafting journey. This is the 3rd one in the series - you can see the previous two by clicking HERE and HERE. I have once again turned to my all-time favourite stamp set - Beautiful Bouquet - to make this simple little bouquet card. The first card shown is the one I made for a colour challenge over on the Stampin for All Facebook group. 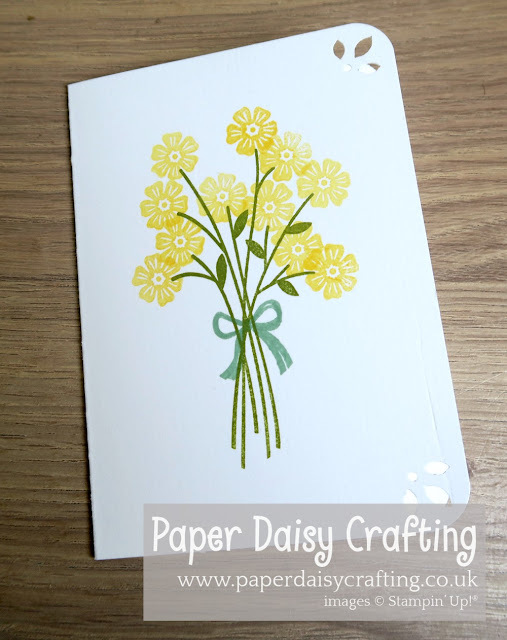 This card uses Daffodil Yellow, Old Olive and Mint Macaron - the three colours needed for the colour challenge. You can see me make this card by watching the video tutorial below - just CLICK HERE or on the image below. 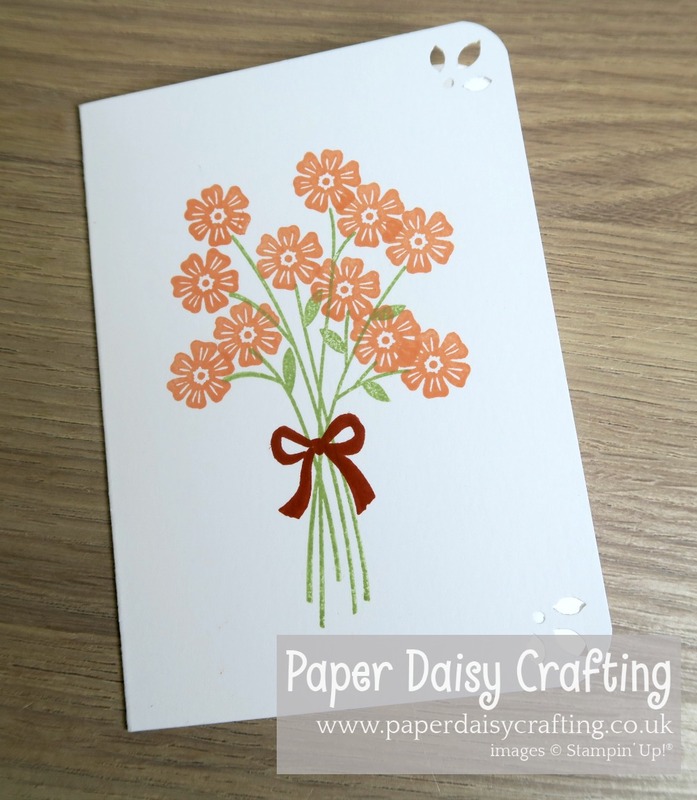 As you can see below, there are lots of colour possibilities which also look fab. 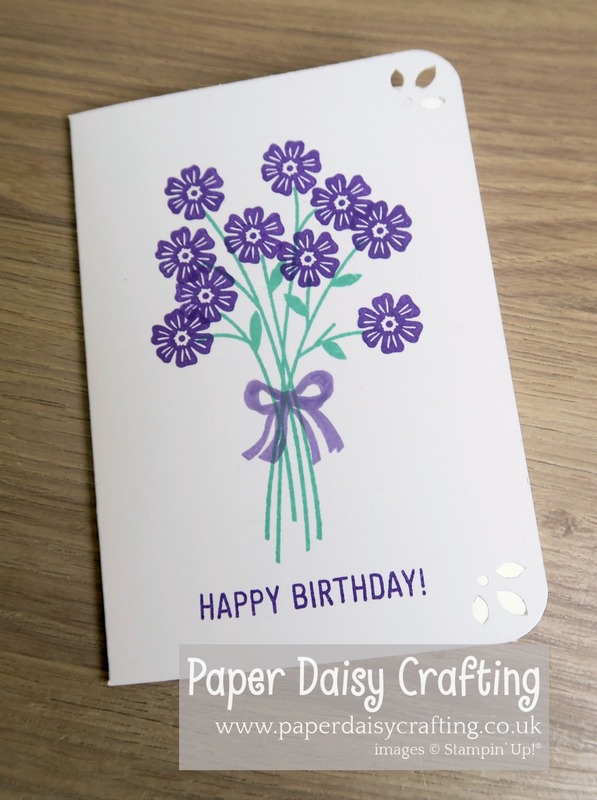 Of course I had to make one in purple - using Gorgeous Grape, Highland Heather and Coastal Cabana. On this one I have added the sentiment from Amazing Life. This one is a bit out of my comfort zone so far as colours are concerned - Grapefruit Grove, Cajun Craze and Pear Pizzazz. And lastly, Melon Mamob. Flirty Flamingo and Granny Apple Green. Hope you enjoyed this project. All of the products used are listed below - just click on any of he images to purchase that product in my 24/7 inline shop. And if you have a go at it, I would love to see yours efforts!